To start of with my research I went on Pintrest, to collect ideas of simple character designs, here are some designs I found interesting and could use to develop my own work. The thing I mostly liked about this character/character animations, is that it’s simple and is something I can use to develop my work. For this artists character design, you can see that he has only used one perspective of the character, his side with the shield but he also used a lot of different animations to go with the perspective. This is an idea I can consider as I will also be making a 2d character. For the next example I looked at was the ghost like character, which was drawn out as the same shape, however every drawing had a slight adjustment to mainly his eyes or had a mask put on, which caused him to look like a different character, in the first example on the bottom half of the image, it shows the regular ghost, but just by changing his eyes in the next drawing it changed the character to look similar to spider-man. For my next step, I looked at some examples on how to actually draw simple characters, that could potentially be used in a game , as I don’t have great drawing skills, this helped me out as i knew where I could start to draw the character, and how the drawing progresses. Pacman, an arcade game that was developed by Namco and first released in Japan, 1980. The characters that are used in this game are very simple, that look like circles with a bit cut out of it to represent the mouth. Furthermore, the aim of the game is to move around a maze-like 2d map and collect food for Pacman, however there are other characters moving around trying to eat you before you eat all the food, so you need to move tactically around the maze to not get caught up by the others. 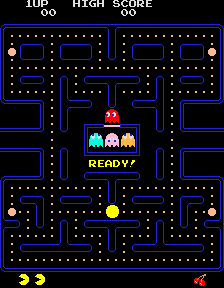 If you collect all the food for Pacman you get moved on to the next stage, where everything gets faster and makes it harder for the player to move on to the next stage. This game is similar to the ghost character artwork, I’ve seen throughout my research, as all the characters are similar but have different eyes and are coloured differently. However, this was one of the most famous games. My next example of a simple 2d game is Mario. 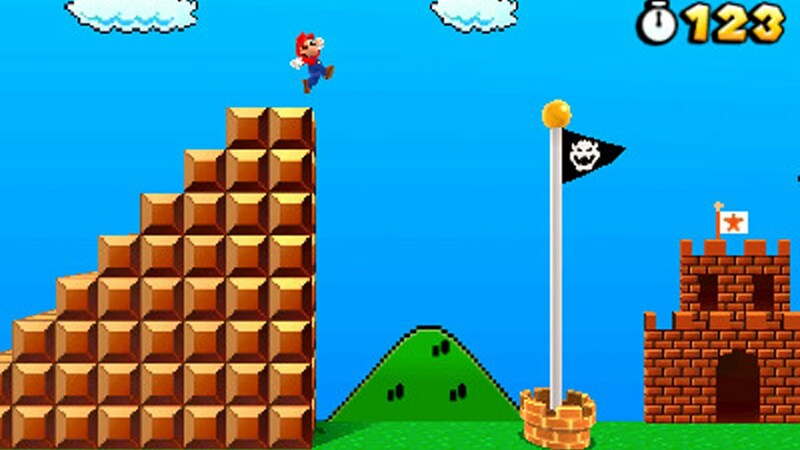 Mario’s first game was released in 1981- sprites from the donkey kong, which was a arcade style game, that didn’t have much to it, it consisted of a 1v1 mode where you would go versus Luigi in a battle mode, Or a mode where you would have 2 pipes at the top where enemies would drop down to you, that you had to slay and try to get the highest score. As the game franchise went on the game got developed and eventually turned into a 3d game with a storyline, that has many different levels. However, the characters and mainly the maps and map backgrounds stayed to be similar just had better graphics. Mario is a good example for me to help develop backgrounds, as they are simple even in the newer versions and are good enough for people to play the game even now.